Forretress in game: 244 Who? Important notice! Pokemon Forretress is a fictional character of humans. 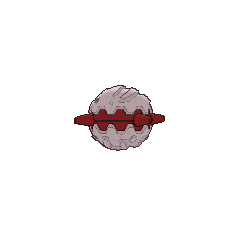 Forretress can defend itself from enemies by shooting out pieces of its outer shell. It opens its shell to capture prey, but does so quickly that its interior body cannot be seen. It lives in forests, attaching itself immovably to tree trunks. Brock's Pineco evolved into Forretress in Entei at Your Own Risk in order to save a bunch of Pokémon at a hot spring from Team Rocket. 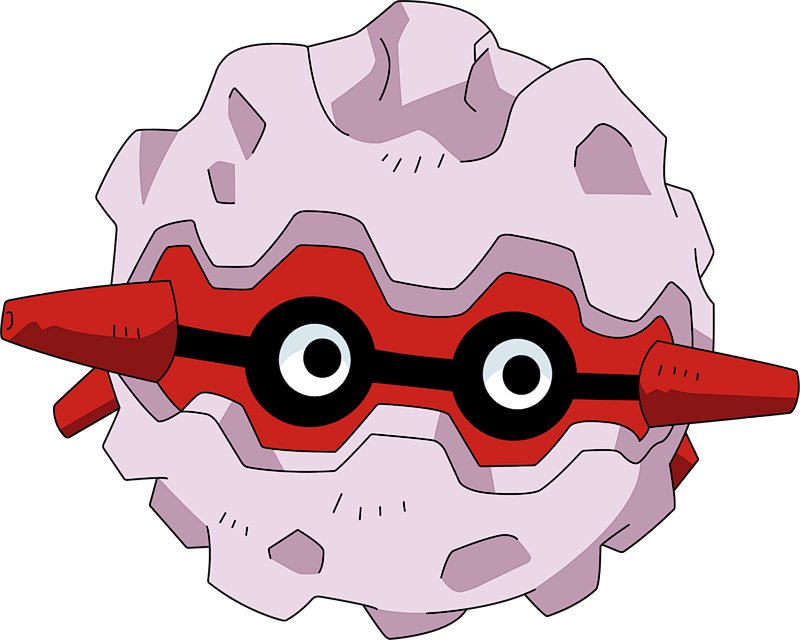 When Brock went to Hoenn, the only Pokémon he brought with him was his Forretress. A Forretress appeared in Win, Lose or Drew! 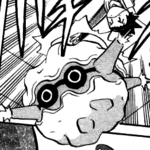 as a Pokémon in the Contest. Another one appeared in Steeling Peace of Mind!. 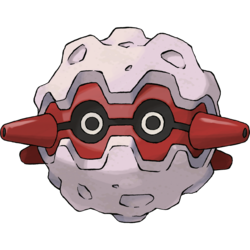 It was one of the many Steel-type Pokémon seen going crazy on Iron Island. EP259 Forretress Ash's Pokédex Forretress, the Bagworm Pokémon. 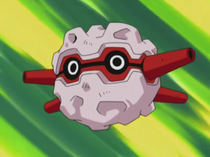 Forretress is the evolved form of Pineco. Its entire body is covered in a steel hard shell. Forretress first appeared in Forretress of Solitude, where Red had to fight two to pass his aptitude test to be Viridian City's Gym Leader. Another Forretress was seen in Crossing Crobat, under the ownership of Janine. She used it to escape from the security guards with its Spikesafter she tried to steal a Big Pearl from the Goldenrod Museum as a security test. 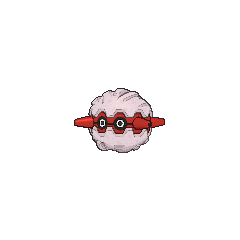 In The Last Battle XIII a Forretress was one of the Pokémon sent to help the fight in Ilex Forest. Carr has many Forretress, with which he often orders an Explosion attack to destroy the surroundings. Near the end of the FireRed & LeafGreen chapter, he has 10 of them nearly detonate the Team Rocket airship after realizing that Giovanni had planned to use the Three Beasts as pawns to reunite with his son.